4 ball bearing wheels provide a smooth transport and maneuver ability. Economy I.V. Pole, 4 Leg with Removable Top. 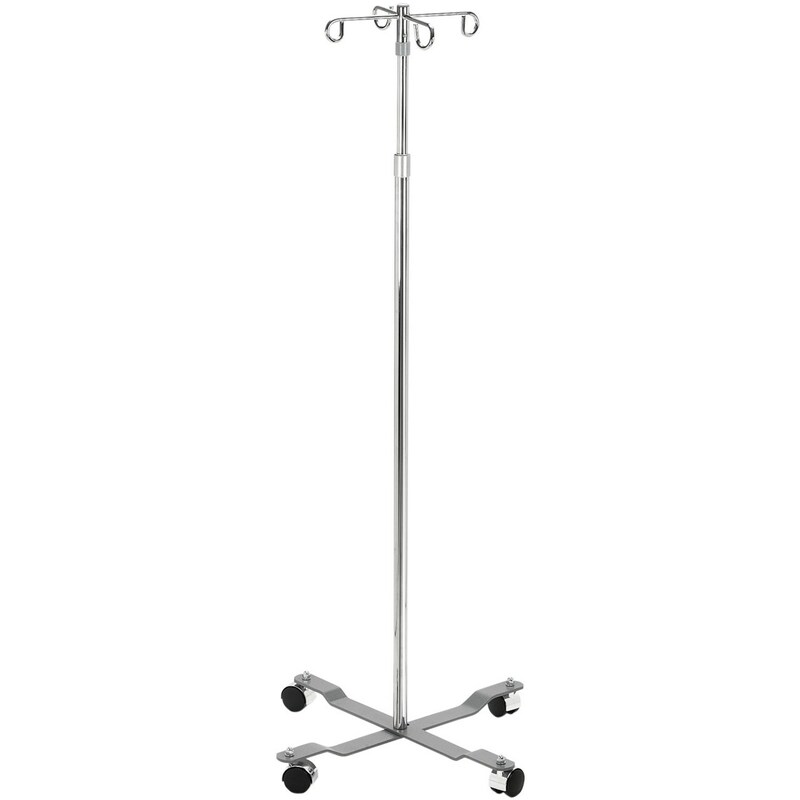 Chrome plated steel with weighted base provides strength, durability and reduces risk of tipping. Locking collar allows for easy height adjustment.